Establishment of functional techniques is a key step toward testing hypotheses in evolutionary developmental biology. Through an EDEN fellowship in 2012, I recently established a protocol for zygotic RNAi in the harvestman Phalangium opilio. Knockdown of the leg gap gene Distal-less results in a classic phenotype with distal appendage truncations. Sharma et al. (2013) Evol. Dev. 15: 228-242. 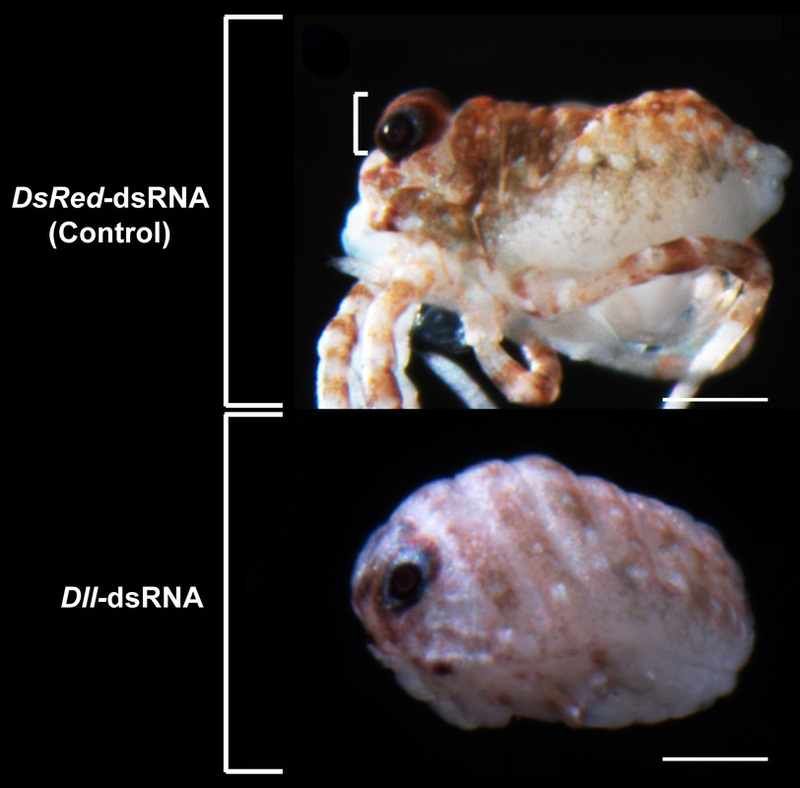 Following up on the gene expression work on the cheliceral dachshund domain, this gene was also silenced in developing embryos. Consistent with its function as a canonical leg gap gene in insects, knockdown of dachshund results in the loss of the podomeres femur and patella in the pedipalps and legs. 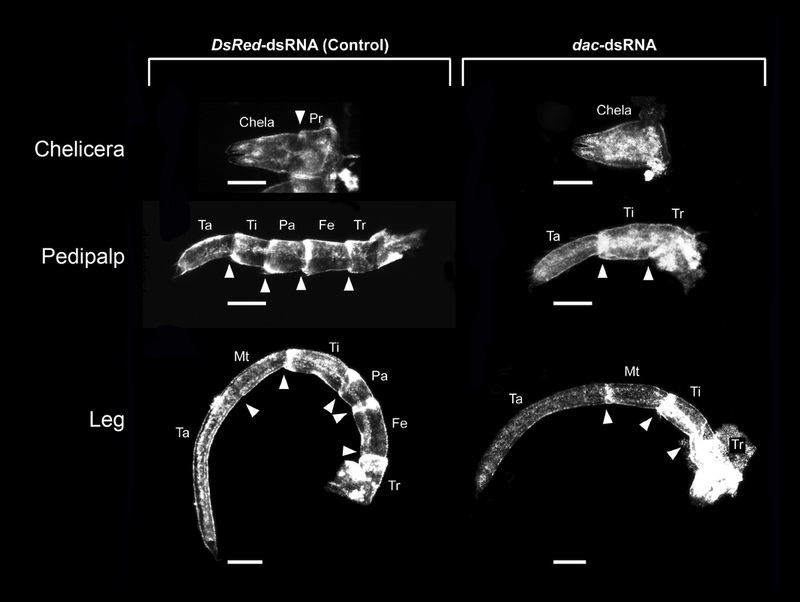 Additionally, a two-segmented chelicera is associated with the strong knockdown phenotype. These data suggest conservation of leg gap gene activity in patterning the proximo-distal appendage axis of evolutionarily distant arthropods.